RUSH: The liberals have turned on McCain on Twitter after he agreed to vote for the tax bill. They are all over McCain. They’re having a fit. As of around 11 o’clock this morning when he announced that he was gonna vote “yes” on tax cuts, they are just fit to be tied. Now, I know I’m citing Twitter when I have often said that I wish the Drive-Bys would stop, but in this case it fits my purpose. Here’s McCain. 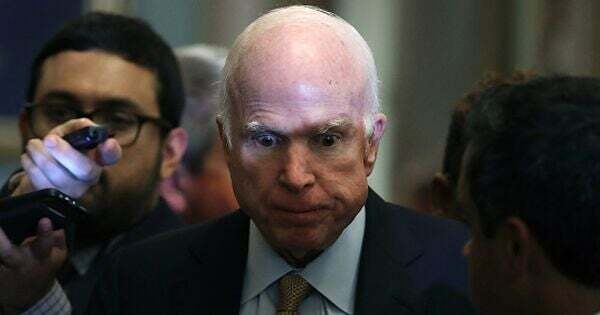 I don’t think he cares in this instance, but it’s just another great illustration they don’t really love McCain. They don’t love Republicans. It’s not about that at all. So McCain’s now getting beat up to shreds. And I don’t know what impact it’s gonna have on him. We’ll have to wait and see.